Where were the Magi from? Did Mary remain a virgin after Jesus' birth? There are also sections devoted to making Christmas relevant, examining which traditions are of pagan origin, and why we need a Savior in the first place. The design of the book is really beautiful. It has the feel of a magazine, with full-color images and photographs evoking all the emotions we associate with this holiday. The focus of the exposition is looking at the Christmas story from a truly Biblical perspective, drawing from the original texts and also from archaeological information we have available today. For the most part, it was quite an interesting and informative read. There were a few things that I thought detracted from the overall product. For one, there seemed to be a lot of repetition, as often specific points were covered by multiple authors. This made it a little tedious to get through. Also, while I agree that our need for a Savior goes all the way back to creation, and a study of creation from a Biblical perspective is very important, it didn't need to take up quite so much space in a book whose focus was Christmas. Did we really need photos and what read like an advertisement for the Creation Museum in this book? I have visited the Creation Museum and found it a fascinating place, but if we're discussing Christmas, I didn't see that such an emphasis at the end of the book on AiG itself was seemly or even appropriate given the stated purpose and overall theme. 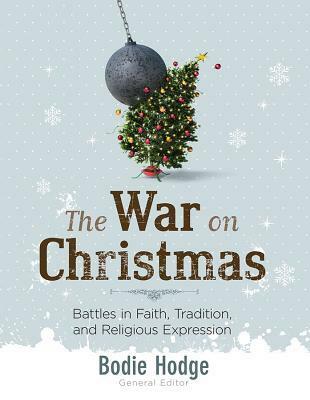 If you are someone who wants to know more about what the Bible and real history teach about Christmas and its characters, this is something I would recommend to you. It's thought-provoking and visually stunning. May we ever seek to examine everything we do by the Scriptures. 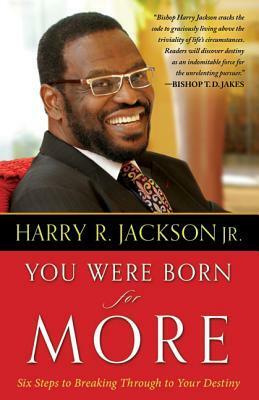 "You Were Born for More" by Harry R. Jackson Jr. I have an interesting history with this book. When I received the e-mail from the publisher asking me if I wanted to review it, I looked at the synopsis and thought that it looked really good but that I already had an overloaded reading schedule. 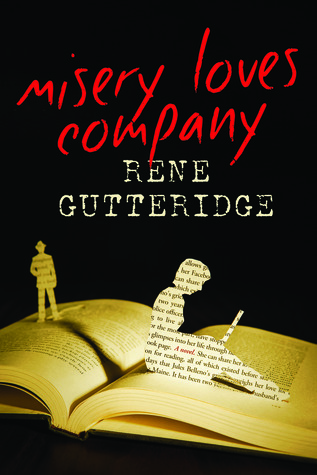 I decided to pass, and thought, "If God wants me to read this book, He will give me another opportunity someday." The very next day there was another e-mail from the Chosen, saying there had been an error on the original sign-up form and anyone interested needed to sign up again. I didn't need to be asked a third time; I decided this was God saying that He did indeed want me to read this book. By the time "You Were Born for More" arrived in my mailbox, I'd learned Chosen specialized in books with charismatic leanings, and I have several differences of doctrine with the "health and wealth" message that often comes in such books. That was discouraging, and I also let a few other things stand in the way of picking it up. Then December rolled around and I wanted to honor my commitment to Chosen and finish this before the end of the year, so I set into it. I should never have second guessed! God directed me to this book, and it's one whose insight I am going to be remembering for a long time. Bishop Jackson is a pastor in the Washington, D.C, area, who also has found himself with opportunity to be a religious voice in the media. This book relies on his personal experience from his fight with cancer, and a straightforward writing style, using strong words such as: "Sometimes the change we are praying for may need to start with a change in us" (pg. 114), and "...We only overcome adversity, heartache, and fear when we put God first in our lives" (pg. 166). The book highlights our need to rely on the Lord instead of on our own strength, being thankful for God's grace and mercy in everyday circumstances, seeking God for an individual relationship with and direction from Him, and the seriousness of sin. I read this book with a pen and paper in hand and wrote down many quotes. Although there were a few occasions when I noted down things I did not agree with, ten times more space was given to words that were an encouragement to me. There's no way you can disagree with someone saying "The best and most lasting happiness in this life comes from obedience to the will of God" (pg. 55), and "Our true identity must be anchored in the Word of God" (pg. 90). This is teaching that every single Christian needs to understand and apply to their lives. All of us know what it is like to go through trials. Bishop Jackson has faced his share of health crises and persecution for taking a stand for Christ. Here are two insights he shared on going through difficult struggles: "...We need to know that God is at work in our character whenever we are going through hard times, whether it is a family problem, a career problem, or something else" (pg 112). "Your trials and tribulations are simply a backdrop against which the glory of God can be seen" (pg. 141). What strengthening encouragement for desperate times! If you are serious about your relationship with the Lord, there would be much to draw you to a book like "You Were Born for More." Jesus came so that we might have overcoming, abundant life, and that is exactly what this book wants to encourage people towards. I was sorry I waited so long to read this treasure, but perhaps God knew that now was the right time for me. I was so blessed by it! 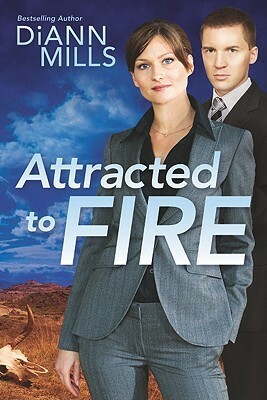 Christa Parrish has had a distinct voice ever since she hit the Christian fiction market. "Stones for Bread" is not a story for everyone. It's a story for the broken, the hurting. Liesl McNamara's life was shattered at age 12, when her mother committed suicide and she was the one to find the body. Now an adult, Liesl is still searching for wholeness amidst the pain that never quite goes away. Having learned the art of baking from her mother and grandmother, Liesl owns a small but successful bake house, still baking from starters passed on to her from previous generations. Bread is her whole life. She's learning about community and trusting the people around her, but when her assistant signs her up to be a guest star on a national cooking show, her world is about to get a lot bigger. Where do you take risks, and where do you hold things close? 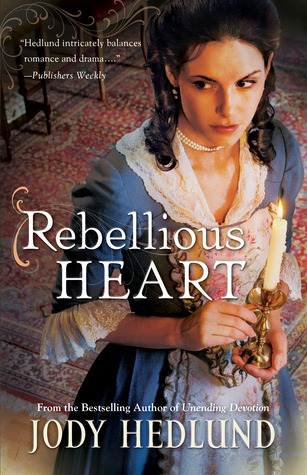 Liesl must decide this not only with her business, but also with her heart. Liesl's path to healing really resonated with me. I know what it's like to feel loss after loss in different areas, and to weigh the pros and cons of letting someone look in on your pain. It's a risk, because they may refuse to enter into it with you, and then it's another layer of hurt. If you choose to share, you become accountable to them in how you face it in your everyday life; you can't pretend with them that it isn't there. Often it's just easier to put the issues on the back burner and not share, but that does not bring healing. Trusting God and opening up to Him and those He brings to you is one key to overcoming and learning to live in wholeness. For those who know about pain, Liesl's journey is one that captures you. For those who aren't acquainted this will be something beyond their grasp. 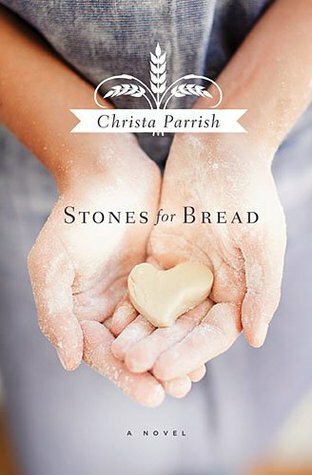 Sprinkled throughout "Stones for Bread" are many recipes, all requiring more than one day of preparation, many of them artisan in nature. That's not something that I can see a whole lot of readers getting into, but you never know. Additionally, each chapter has a section on the history of bread which I found to be not relevant to the story at all. 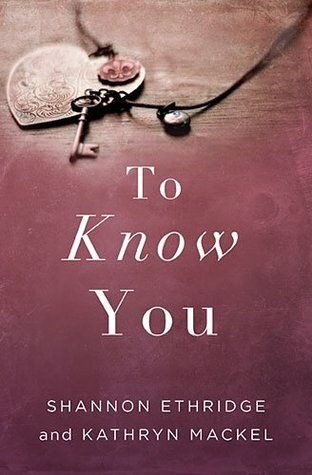 These sections could very easily be skipped over without missing a beat of Liesl's journey. This story is written in a style that makes it less than engaging at first. You have to push in before getting to the good stuff. The majority of it is written in the first person present tense, which is very popular right now, but that has lost its novelty on me and become annoying. Don't let that stop you from persevering. Once you get in, there's a deep and good story. My copy of this book was provided by LitFuse in exchange for this honest review. All opinions are my own. Julia Whittaker would do anything for her 13-year-old son who is slowly dying from a liver disorder. In need of a matching donor willing to give a piece of their liver, Julia must face the ghosts of her past and find the two baby girls, now adult women, she gave up for adoption many years ago. Destiny is 24 and a successful conceptual artist in California who really wants nothing to do with God or the birth mother who shows up on her doorstep. Why should she give up part of herself for a kid she's never met? A bit of a rebel, Destiny agrees to consider being tested to see if she's a match only if Julia will take her to meet the half-sister she just learned about. At 22, Chloe feels stifled with her perfectly planned life and her perfectly planned marriage to her high school sweetheart. He knows exactly what he wants and is methodical in approaching it. Chloe wants some spontaneity and to be able to change things up as she discovers more of who she is as a person. She's sought out some questionable friendships in order to meet the needs she is afraid to speak to her husband about. With Julia and Destiny's surprise arrival, Chloe is ready to throw off convention and go on an adventure. The three women begin a journey of getting to know one another, confronting the most painful parts of Julia's past, and each of the girls working through issues of their own. Julia is doing this for Dillon, but she's also glad to be spending time with these daughters who had been only and always in her heart for two decades. She knows she's asking more than she ever has a right to, but is it possible that God can bring physical, emotional, and spiritual healing to all three of her children? She is willing to go as far as it takes. This is a very honest story on many levels. The subject matter is for mature readers only. We all make mistakes and bad decisions sometimes. We all fall into sin. It's not easy to deal with the messes we make for ourselves. Yet even in our failings God can work things out for good, because He's that kind of God! This is a story for all who need His help on this walk through life. I received my copy of the book from LitFuse in exchange for this honest review. All opinions are my own. 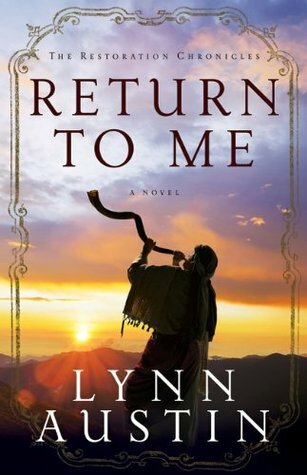 In "Return to Me," Lynn Austin has tackled a unique time in Biblical history: the end of Israel's exile in Babylon. When King Cyrus issued a decree that the Jews could return to their homeland and rebuild the temple, Iddo was thrilled. He had been just a boy when he was taken from Jerusalem. Now he and his fellow priests can reclaim their role as helpers of God's people. He can't understand why his excitement is not shared by all of his friends and family. To go back to the Holy Land after years of pagan influence is everything Iddo he has ever dreamed of. But for those born in Babylon, it's not such an easy decision. This is the story of those who made up the first caravan back to Israel. 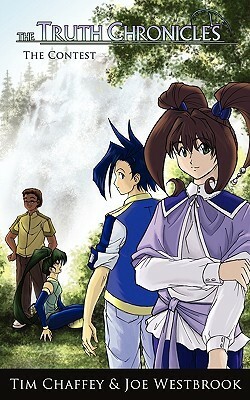 The main characters are Iddo, his wife Dinah, their grandson Zechariah, and neighbor Yael. They are not met enthusiastically by the Samaritans in their home country when they arrive, and they face the monumental task of rebuilding a city that had been turned to rubble many decades earlier. Those who had learned to trust the Babylonian gods have a hard time coming back spiritually to the Almighty One. Amidst the hardships, will they truly return to Him or lose their way once again? 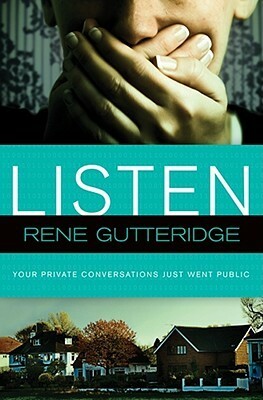 As I read and after I finished this book, I looked up different things in the Bible to check for accuracy and context. I think it's a win for Biblical fiction when it drives you to do this! I grasped a few things I hadn't understood before, and I thank Lynn Austin for that. The story itself didn't capture my attention as well as I would have liked. 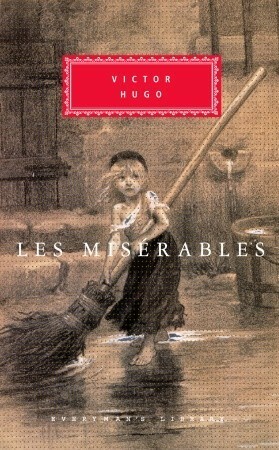 The book is over 450 pages long, but even so I never felt really connected with the characters. All of them kept making decisions that I wished they wouldn't, and their struggles were so hard it was a bit depressing to read. In the last third of the book there were a few scenes that were very well done and conveyed the message of the book, but overall as fiction it was rather bland and predictable. The look into history was the best part. I received this book from LitFuse in exchange for this honest review. All opinions are my own. 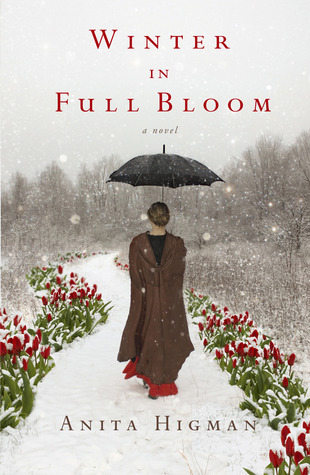 Julia Foster isn't your typical Edwardian-era heroine. At age 27, she had been serving with her parents on the mission field in India, until her father's health required them to return to England. 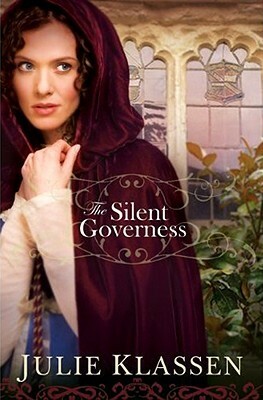 Now Julia must find a position as a governess to help support them all. Her views on childrearing and life have been greatly influenced by her experiences as a missionary, and as she settles in at Highland Hall she finds herself occasionally at odds with her master and his family. Recently inheriting his uncle's estate, Sir William Ramsey is disturbed by the condition in which he finds the house and grounds, and fears that because of death duties (inheritance taxes) he may be forced the sell the property and move back to London. At least he can leave the care of his two young children, as well as his two teenage cousins who were left to him as wards, in the care of Miss Foster, freeing him to pursue a fortunate second marriage and perhaps save his estate. 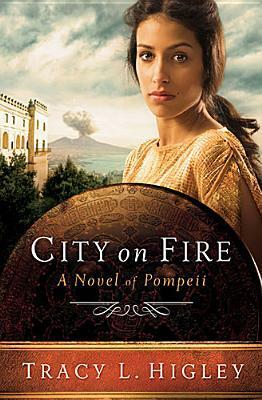 One reason I loved this book was because of Miss Foster's principled personality. She is a heroine one can root for, who is always looking to God for direction and leading. She isn't free of mistakes or faults, but she is always trying her best. She befriends Sir William's maiden sister and helps her take her place as mistress of the house. She encourages Sir William to spend more time with his precocious children, and he begins to see her as a valuable giver of advice. There are a lot of plot elements drawn from classic literature, but none of them in a copycat manner. I really enjoyed the different twists and turns. 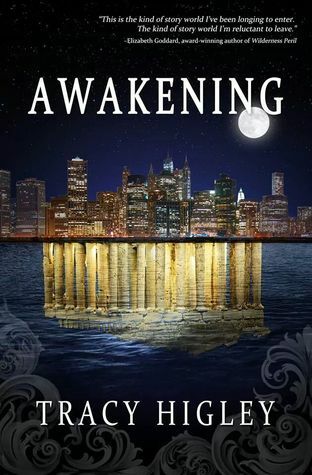 This is one of those stories that I would recommend for all readers, especially those who love the "Downton Abbey" time period. 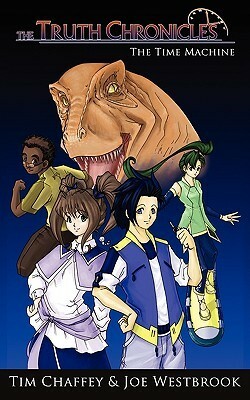 This is much cleaner and more praiseworthy than that famous series! 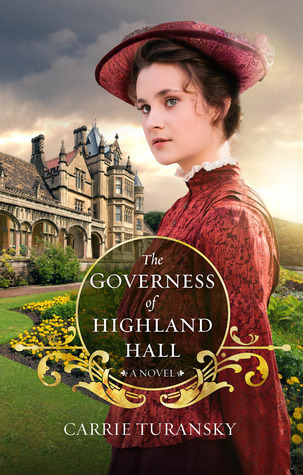 "The Governess of Highland Hall" will be coming to bookstores everywhere on Oct. 15. I received an Advanced Reading Copy from the publisher in exchange for this honest review. All opinions are my own. If you'd like to read the first chapter, you can do so here. As I've mentioned before, I have an insider track on weddings and I love being part of them. 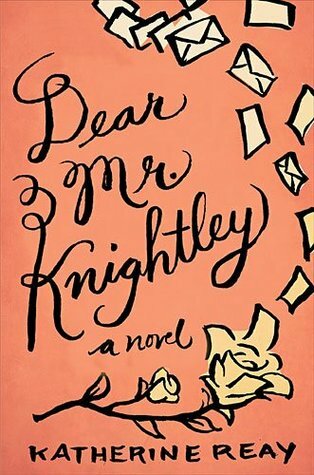 When this book was recommended to me because it starred a wedding planner and a quirky plot, I was very excited to read it. Honestly, weddings and books have one thing in common: you never quite know what's going to happen when you dive in! 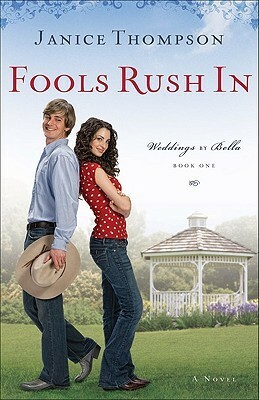 Bella Rossi comes from a stereotypical Italian family, and she's way out of her comfort zone in planning a wedding with a Boot-Scootin' western theme. She's just inherited the wedding planning business from her parents, and this is her first solo job. Knowing nothing about country music, she decides to find a deejay who can help her select music and get a better picture of the country western scene. I had issues with this book immediately. It states right off the bat that we're "less than two weeks" from the wedding, and yet Bella is only just starting to find vendors and shop for decorations. That's ridiculous. Even though it's said that it's a last-minute wedding, no one does it that last-minute and expects good results! I know I'm obsessive about details and having a working plan in place, but by the time you reach two weeks before the wedding, there's nothing that's not already carefully lined up and ready to go. You can't be ordering things off eBay at that date, or just starting to plan the reception. You just can't. Although Bella is understandably nervous to be doing her first wedding on her own, the level of anxiety is rather absurd when you consider she's been helping her parents for years. To be in charge of a wedding you have to have confidence. Had I been this bride, I would have fired Bella and never recommended her to anyone. It was that bad. Bella is supposed to be 29 years old, and most of the main characters seem to be around the same age. Yet they speak and act like they're teenagers. There's a lack of maturity that drove this reader crazy. That might have been passable if they were 18, but they weren't. The emotions were very unrealistic for this group of people. The spiritual side of the novel seemed forced. The few genuine moments involved Bella's aunt, not Bella herself. There is a crazy side-plot about a parrot that seems to indicate that animals can come to a saving knowledge of Jesus Christ and become witnesses for Him. That's just bad theology and a waste of everyone's reading time. The title of the book is the best commentary I can give on recommending it. These things I've mentioned here are only the most major of the problems I had with it, and I could go on if I wanted. Needless to say, I won't worry about finding a place for this book on my crowded shelves. Go watch an episode of "Cake Boss" if you want to see a more realistic portrayal of an Italian family running their own business.